Materials: Repurposed wood, reeds, strawberries, coconut milk, mint, tonic, vodka, sugar. 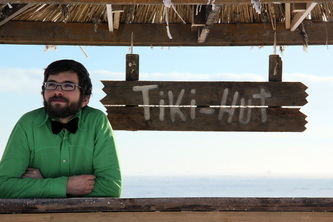 A tiki-hut is a bar, loosely inspired by Polynesian culture that serves tropical cocktails such as Pina Coladas, Strawberry Daiquiris, Mojitos and Margaritas but more than that, it is representative of a tropical lifestyle: of the sun, the sand, and relaxing by the pool; it is an icon for those places close to the equator which stay warm and sunny all year round. 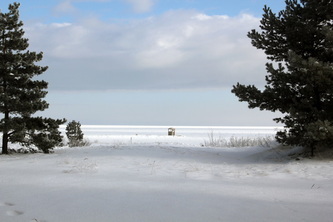 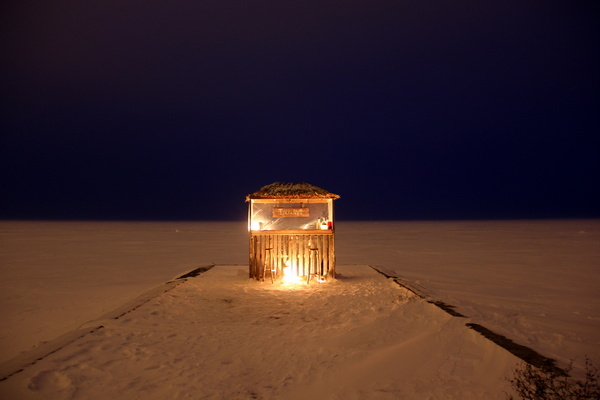 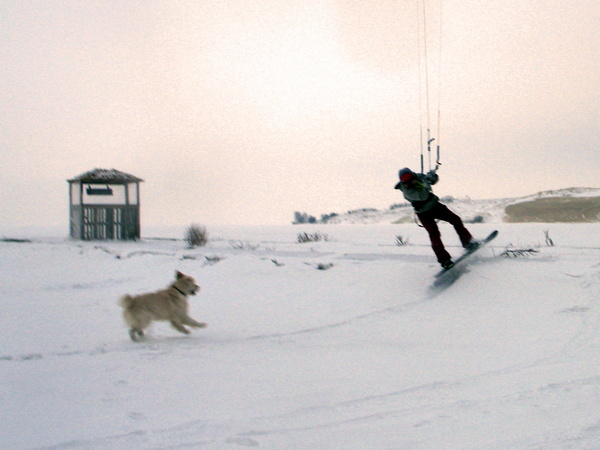 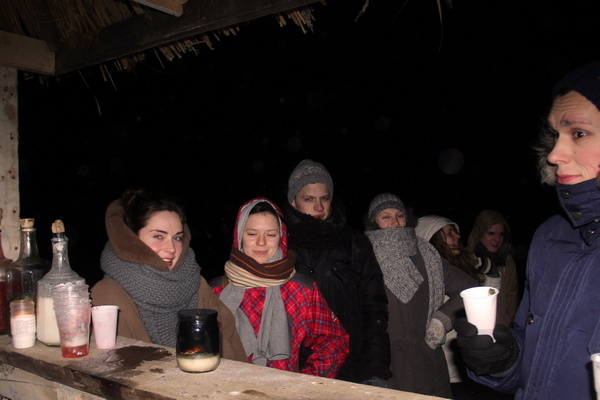 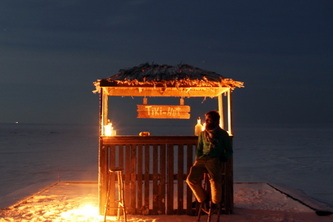 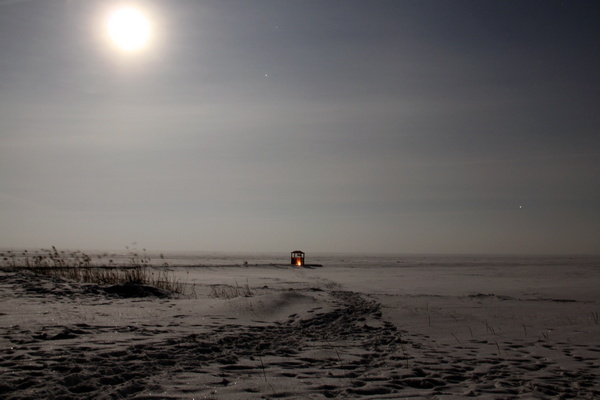 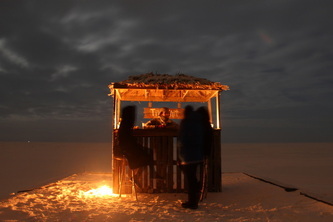 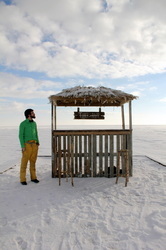 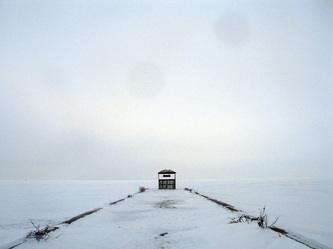 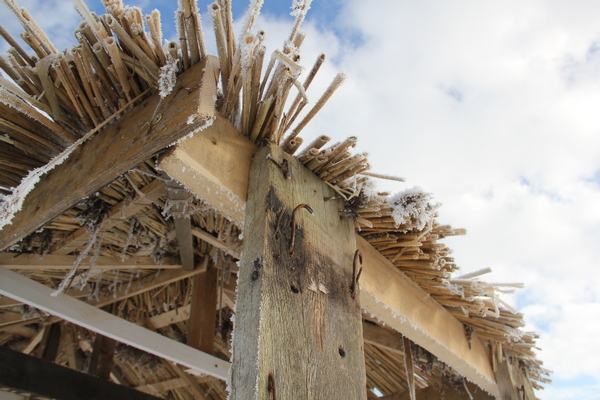 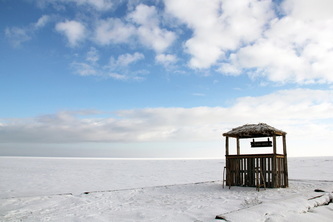 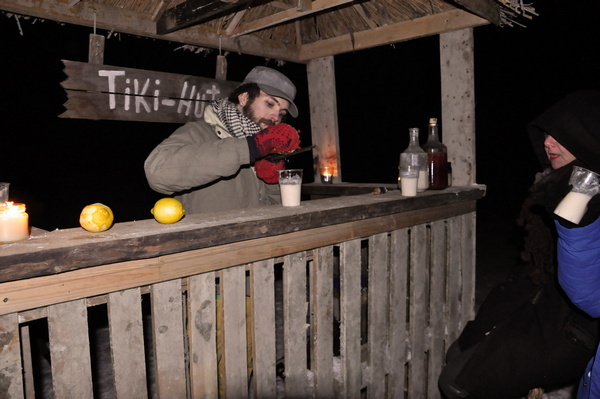 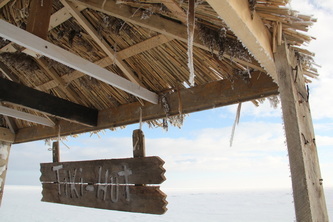 Tiki-Hut is a site-specific installation to be built during the coldest and darkest part of the year while being as far north as possible. 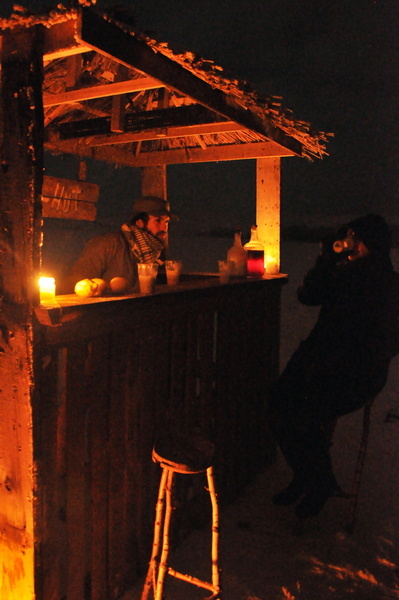 While it won’t actually be heated, the work will serve as a beacon of warmth and light, shining through the dark of winter. Tiki-Hut is part installation/part performance that belongs to a series of site-specific installations, located around the world, which rely on the landscape, documentation, and physical engagement with local/remote audiences. 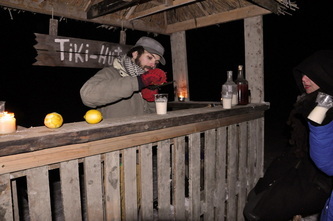 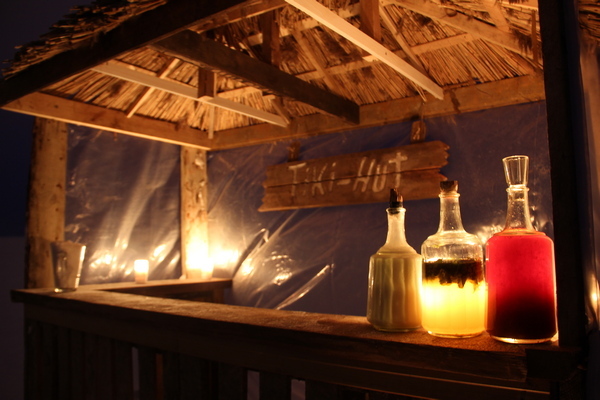 While the work represents itself as a bar, Tiki-Hut is art installation masquerading in order to access a wider audience; the work is meant to investigate how interaction or relationships happen between objects/the environment, viewers/objects, viewers/artists and artists/products/the art market through the simplified format of a Tiki-Hut.